I finally learned how to make gravy!! For whatever reason, beef gravy has been the bane of my existence for years. I don’t know why, but I’ve always had trouble with it. Sure, I could have copped out and used a gravy packet from the store, but come on! I had to be able to figure it out! I mean, I’ve conquered croissants and homemade pasta. I’ve claimed victory over authentic Italian pasta sauce, and homemade ice cream. And yet gravy eluded me. There had to be a way to gravy that wasn’t overly thin or gloopy or tasteless. I tried Wendy’s recipe and finally – success!! I’ve used this recipe over and over again and it’s a hit with the family every time! Plus, it’s super versatile. Sometimes I use the wine, other times I leave it out. Sometimes I use ground pork, and sometime I toss some sausage in there for a different flavor profile. Any which way, the family loves it – give it a try! Melt 1 teaspoon butter in a skillet over medium heat. Add the onion and stir until coated. Reduce heat to medium low and cook the onion until it is soft, and begins to caramelize. As the onions dry out, add the wine, one tablespoon at a time. Add the garlic and cook until fragrant. Set aside to cool slightly. Preheat the oven to 350 degrees F and line a baking sheet with foil or a silicone mat. Place the beef, pork, bread crumbs, egg, caramelized onions in a bowl. Season with salt & pepper. Mix together thoroughly using your hands and divide into about 18 meatballs. 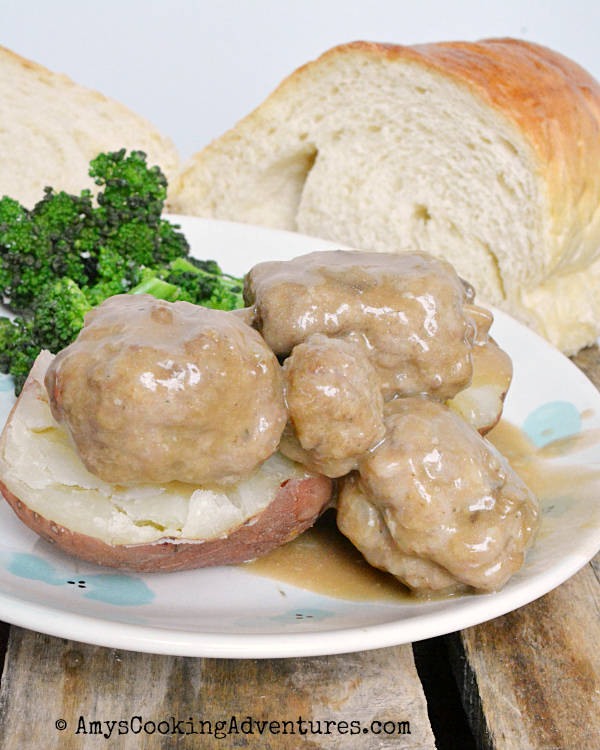 Place the meatballs on the prepared tray and bake in the preheated oven for 20-25 minutes or until well done. Melt ½ tablespoon of the butter in the same skillet used in making the caramelized onions. Add the mushrooms and cook until they release their liquid. Continue cooking until the liquid had mostly evaporated. Add the wine and cook for another minute. Add the remaining butter and cook until melted. Whisk in the flour and cook for 2 minutes, stirring constantly. Very slowly add the beef broth. I add about ¼ cup at a time, whisking vigorously and allowing the mixture to thicken before adding more. Once all the broth is added, season with pepper, and cook for another 3-5 minutes to thicken. 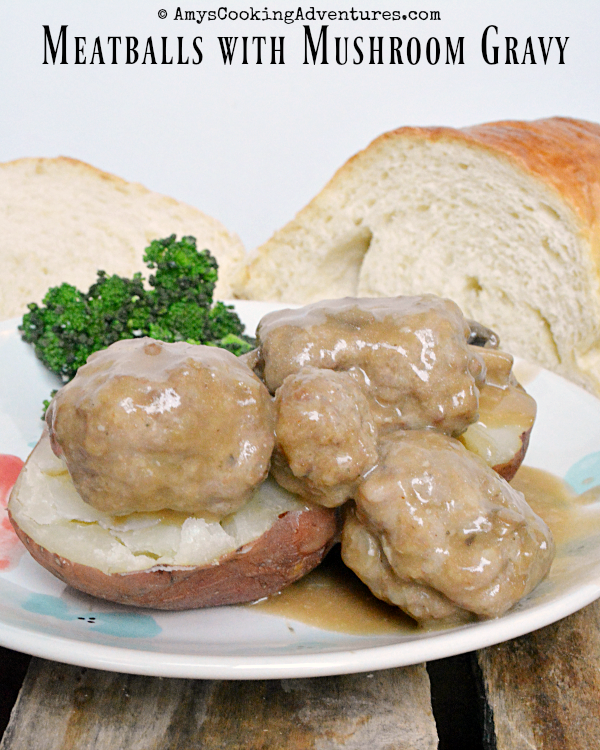 Add the cooked meatballs to the gravy, stir to coat and serve over baked or mashed potatoes. 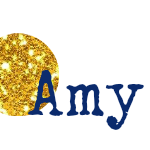 I am so happy this recipe is successful for you Amy. I adapted Mom Klik's recipe and have been using it for years. Thanks so much for all the kind words.